When my son Eli was five, he was diagnosed with ADHD and executive dysfunction. Wanting to do everything I could to untangle his world, I did massive amounts of research. I read articles, attended conferences, and sought out experts. Uncovering ways to get and keep my son organized and teach him time management skills became my passion…and my business. (We’ll get to that!) I learned systems and strategies that could be used to bring some order to the chaos at home and school. Bu the most effective “research” I did was to talk to parents like me to learn from their experiences, share information and provide support. So off I went to transform this desperate mom’s house and life. We created “homes” for all their belongings, took doors off closets so her children could “see” what they owned, removed dressers from rooms and replaced them with clear bins and hooks. We put time management strategies in place. Out went useless checklists and up went eye-catching directions. Analog clocks were hung; schedules firmed up, launching pads created and on it went. After 10 hours, I helped this sweet woman transform her chaotic and unhappy house into a calm and orderly home. I received four phone calls from her friends asking for my help. And when I turned to my husband and said, “I don’t do this for a living,” he replied, “Well you do now!” And so, my company, Order Out of Chaos was born. Fast forward 11 years and boy have things changed. We are a full service company that offers organizing, time management and coaching services; family education, and ADHD resources as well as virtual educational classes and products to hundreds of families and their students – both mainstream and with learning differences. I regularly travel the country presenting to parents, students, and teachers on issues surrounding teens today. 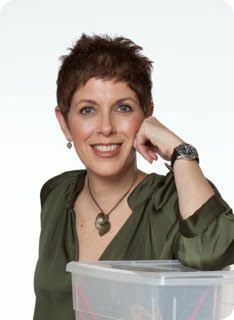 Over the years, the single most requested subject I am asked to speak on or parents are concerned about is time management, an issue filled with emotion, anxiety, and confusion. Not a day goes by that I am NOT speaking, writing, emailing, coaching, or talking on this subject. Having developed an arsenal of what I call “The Triple Ts” – tips, tools, and techniques – for teens and time management (and parents! ), it was time to write a book! 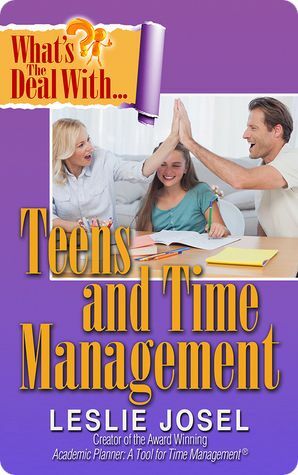 And my goal in writing this book is simply to provide support and guidance for parents looking to help their teens understand, develop and implement time management skills.